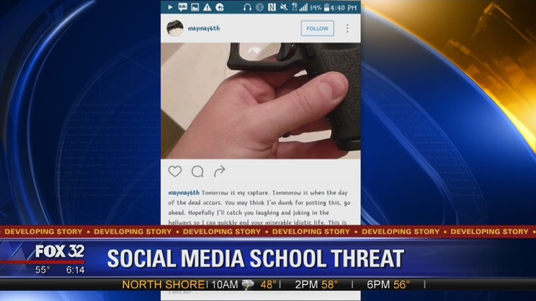 More and more schools are now hiring online security companies to scan social media for threats…take Orange County Schools for example. They just hired a social media investigation company who will monitor public social media content, flag possible threats and notify school officials of threats against school students, staff, and events, according to an OCS press release. 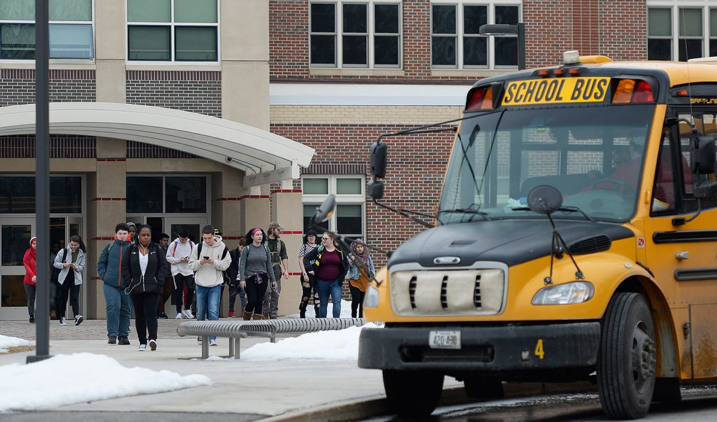 The service, which will cost the school district about $10,000 a year, will look for keywords in social media that may post a threat to students, staff, or the local community. Orange County Schools’ Superintendent Todd Wirt said students, parents, and staff are acutely aware of the need for implementing as much safety and security as possible in the school community. “When we find ways to secure our schools – whether it’s building safety measures into our schools or responding to online threats – we want our families to know that the safety of our students and staff is the top priority,” Wirt said. The OCS statement said an administrator would conduct social media screening, review any red flags in context to determine the “type and severity” of any potential threats, and start working with law enforcement. OCS officials did not say what constitutes a threat, how data will be stored, or what role law enforcement will play. With the 2017-18 school year going on record as the deadliest school year in decades, school leaders are trying to figure out how to prevent more school tragedies. The need to protect the lives of students and teachers has caused school districts to examine a number of solutions, including the increased monitoring of online threats, social media background checks, and consulting with social media intelligence experts. These programs look for keywords that indicate threats of violence to others or self-harm. Those in favor of the program say that such measures reduce threats and prevent potential suicides, however, critics of social media screening point to possible violation of privacy concerns, potential human rights violations, and the possible misuse of such monitoring by schools to target students of color. Social media can contribute to psychological trauma and other challenges. Potential risks include the following. • Quickly communicating accurate information following a crisis. • Rapidly dispelling rumors or other false information. • Quickly coordinating crisis response efforts. the community can familiarize themselves with such policies. educators, parents, and other adults about what and how social media are being used. We have been mining social media since 2007 for our clients. By utilizing best in class software programs, we offer a service called eChatter. eChatter works with you to obtain your objectives in a fast, accurate and reliable facet. By keeping our strengthened principals, yet evolving with this industry, we lead in social media monitoring. Since 2007, we have been dedicated to providing our customers with the most authentic data. This entry was posted in General Social Media Information, Parents Corner and tagged school social media, schools monitoring social media, social media monitoring, social media threats. Bookmark the permalink.